Design is rapidly gaining traction across the industry segments, be it manufacturing, automobile, Internet or FMCG. Though design has existed for very long and the conventional form of design was to create objects for functionality and thereafter it evolved into making those objects desirable. In the age of fast-changing technologies, design for functionality and desirability are subsets of design for experience. Any activity of the user requires interaction with a screen, object, device, appliance, packaging, automobile, etc. and the interaction creates an experience. Brands perceptions are created through such experiences. Hence, the custodians of brands want to give great experience to the users and thus win their loyalties. Hence, design is commanding a higher value in the minds of brand owners and it is becoming intrinsic in their business strategies. Design is a game changer in today’s crowded consumption scenario. Because it adds tremendous value to the companies and brands, while improving their profitability and augmenting their growth. Design is a creative profession that is essentially a combination of aesthetic, functionality and usability of any interface. So design of apps, magazines, refrigerators or cars, deals with beautifying them while enhancing its convenience by accommodating maximum features. These features could be innovation through details in physical and cognitive ergonomics or through integration of technologies. With the advent of many new technologies, there is a big opportunity for the designers to make them humane. There are several professions in design, like industrial design, graphic/ communication design, furniture design, fashion design etc. The list keeps increasing with new disciplines being added to the evolution of digital space. UI/UX, Interaction design, etc. are gaining ground at a fast pace. Inspite of many such disciplines, the core of design profession lies in design thinking, which remains the spine of all such fields of design. In the last few years Design Thinking has percolated down the industry functions in a big way. This has immensely helped in giving deeper meaning to design. Design Thinking is the way designers think! Design Thinking is user-centric. It encourages empathising with the user, at the outset. User empathy helps in unearthing the user needs and aspirations. Thereafter, solutions are found through an iterative process prototyping and refinement, based on user testing and validation. Design Thinking is a great problem-solving tool and is being embraced even by the functions, such as HR and Finance. 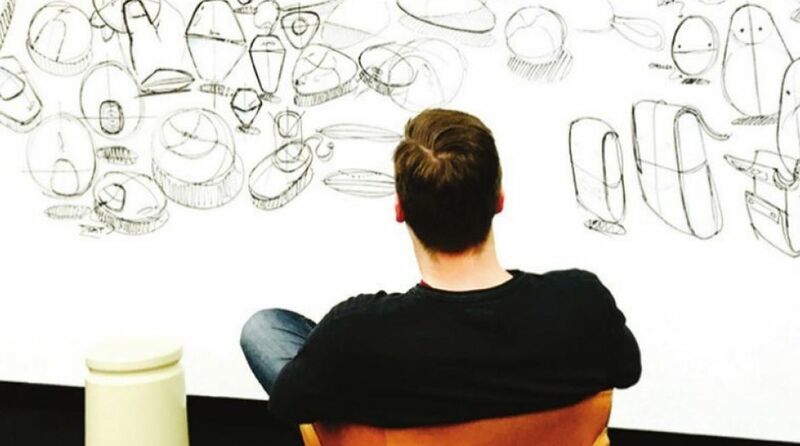 Design schools culture their students to be proponents of design thinking. This has created multi-dimensional opportunities for designers. As the profession evolves, there are design companies in the more developed societies, who are offering Service Design, which is focussed on Fintech and government sectors to enhance the user experiences and conveniences. With the Indian economy on the rise and reaching a point of inflection, apparently design will be one single function that will be the leveller and differentiator, together. This is well recognised by the government and the education sector. There are design schools mushrooming in all the big cities of India and youngsters are opting for design as a profession by choice. Unlike many other professions, design is a beautiful profession, because it is inherently creative, and is agnostic to mundane repetitive job. It opens up new vistas for working on a variety of projects. This keeps the adrenalin rush on a high, all the time! India needs a large bank of designers who can influence the government policies, initiate social innovation and finally change the face of the country. The writer is founder and CEO, Desmania.